From Donald Trump, to Brexit and the rise of nationalist populism across Europe, what role has the media played in shaping our current political moment? Following the news coverage of a decade-long crisis that includes the 2008 financial crash and the Great Recession, the UK deficit, the eurozone crisis, austerity and rising inequality, we see that coverage is suffering from an acute amnesia about the policies that caused the crisis in the first place. Rather than remembering its roots in the dynamics of 'free market' capitalism, the media remains devoted to a narrative of swollen public sectors, out-of-control immigration and benefits cheats. How has history been so quickly rewritten, and what does this mean for attempts to solve the economic problems? 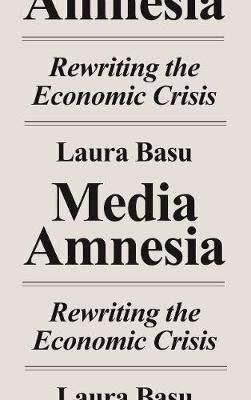 Going behind the coverage, to decode the workings of media power, Basu shows that without a rejection of neoliberal capitalism we'll be stuck in an infinite cycle of crisis.